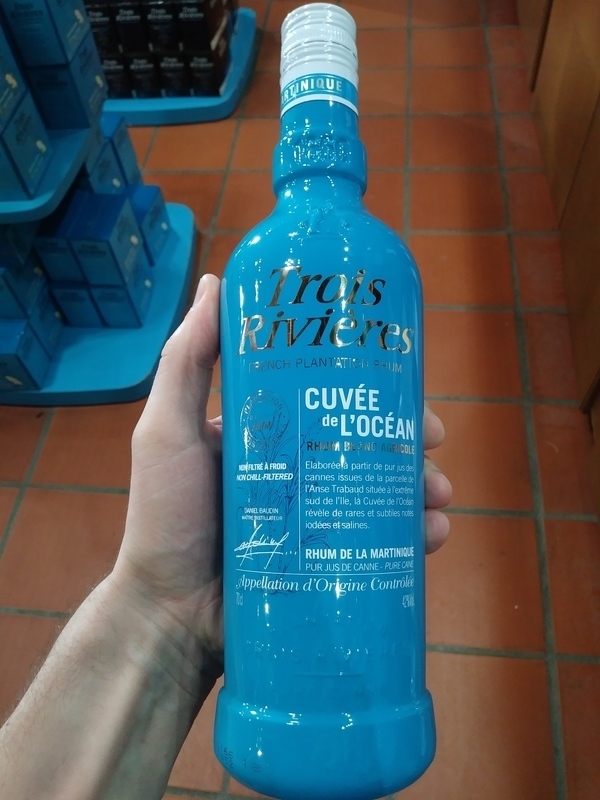 Have you found an online vendor selling Trois Rivieres Cuvee de l'Ocean? Nose of golden raisin, the usual agricole grassiness, and some salty sea air coming through. In the mouth you just get a big ol' hit of salted, dried apricot. Finishes with a little more salt, plus that agricole grass-funk. This is a really cool rum. Not the best out there by any stretch, but very much it's own breed! If you want to explore all the reaches of what rum can be, you've got to add this to your list! 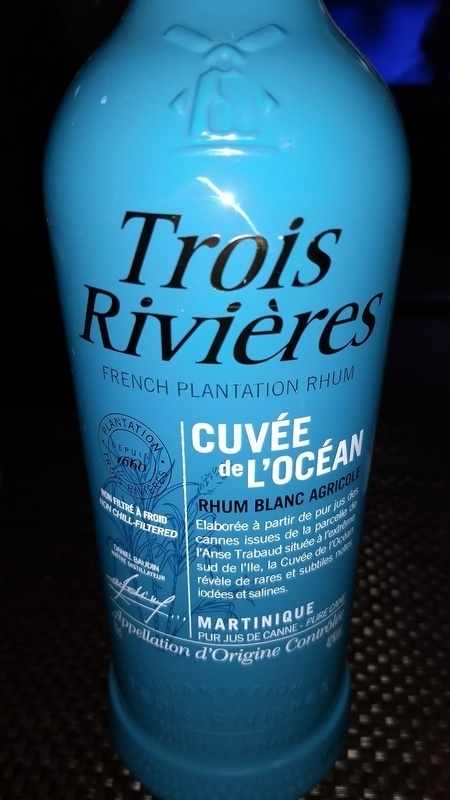 Last drink for tonight was a glass of Trois Rivieres Cuvee de l'Ocean Rhum. Very nice high end bottle and definitely a unique design. Color is crystal clear. This is an un-aged rum. Tequila like smell to the nose. Very grassy and salty flavor profile to the palate. Unique rum for sure. As said - punchy, grassy, has the sweet nose of bagasse. Really good on a hot day in a punch. True 7. Juste le meilleur rhum pour faire du rhum arrangé, vient ensuite le trois rivieres blanc 50 qui est un peu plus raisonnable question prix pour ce genre de preparation. On peut aussi le boire tel quel. J aime. Trois Rivieres offers a good products for preparing planteurs and ti Punch. This white rhum is enriched by this note of Sea in its taste. It’s produced with cane cultivated close to the beach and this provides a peculiar final note of freshness. 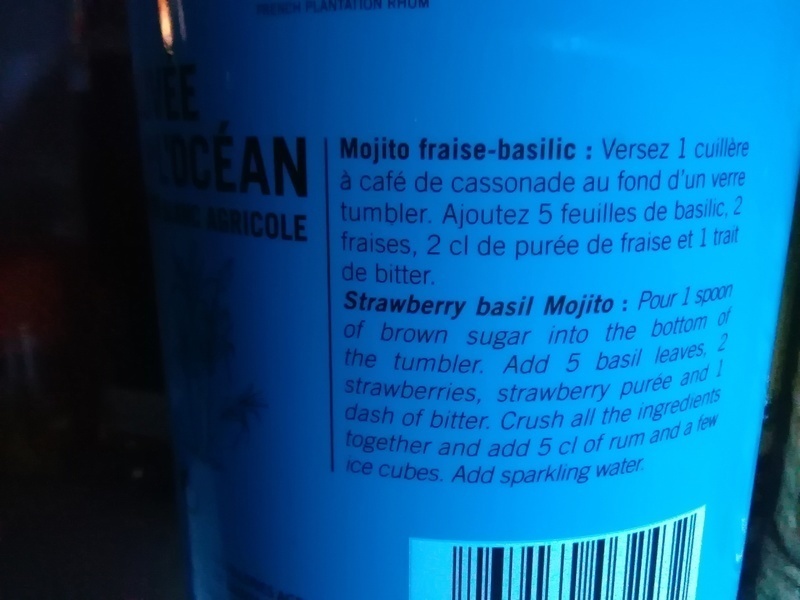 It’s excellent for cocktails, I would recommend a Mojito with it: it’s surprising. Rhum blanc agricole de Martinique. Cannes venant de l'extrême sud de l'île. Titre 43°. Présentation : très belle bouteille turquoise. Dégustation : très fruité, avec une pointe minérale (fréquent sur les 3 rivières). Finale : canne avec une pointe minérale. Agréable en ti punch mais rien d'extraordinaire non plus. Very unique batch. Cuvée de l'ocean brings you mineral flavor, iodin, dryness and subtil flower notes. Bijzondere witte argricole rhum van Martinique, bijzonder omdat deze wordt gemaakt van het suikerriet wat het dichtst langs de kust groeit ('met de wortels in het water') en dit zorgt voor een maritiem, licht ziltige nasmaak. Voor de rest een prima witte argricole. This is part of a 24 Rum Advent Calendar given to me. I've never had a white Agrigole before and found it surprisingly tasty. Nice balance of sweetness and alcohol. Odd to not have the nuiances given by Molasses. Like it a good bit. Nekem a rum az ízek és aromák felfedezését jelenti..mivel még fehér rumom nincs a gyűjteményben, úgy gondoltam a Trois rivieres jó választás lessz. Azt tudni kell hogy az ültetvény közvetlenül az óceán mellett fekszik ,gyakorlatilag a cukornád az óceánból táplálkozik úgyhogy enyhén sós íze van..legalábbis több helyen ezt írták az olvasói vélemények. "Illatában" inkább a jódos kötszer ugrik be mint a sósság, kissé zavaró, nem hétköznapi. Ízében már ényhén sós , édes( talán vanília ) jegyek jelentkeznek !! Egyedi rum, de baráti társaságban csak úgy nem merném kínálgatni . :) az üveg hátulján koktélrecept is található..
42% ABV. Grassy. Cane, brine, corn. Dry-smelling. Very mild on the palate. Would benefit from a higher proof. Not very dry, not very sweet. Coconut. Very smooth and highly drinkable. Quite good, just not quite great. I had the opportunity to sample this during the California Rum Fest, at the Tour d'Agricole table. Cuvée de l'Océan will not appeal to all rum drinkers, or even all agricole aficionados, but the taste is refreshingly unique. Salty and grassy, this is a rum that can be enjoyed neat on a hot summer day, or used to create a new version of a cocktail that might otherwise call for tequila. Those who rate this rum poorly have no doubt not spent much time learning about it ahead of time. Sadly, it is not available in the USA, and must be purchased from abroad where the shipping costs exceed the cost of the product. But quite interesting experience and good barman can make great cocktail from it. Definitely recommend even beside its saltyness its still just white agricole rum. You must be a lover of agricole (french-style) rums, to have the proper experience. The rum tones are after the sugarcane juice - both in aroma and taste. But there is also the influence of the salty ground, where the cane is grown... you can feel the sea-salt at the tip of your tongue. Malheureusement ,c'est la seule qualite que j'ai trouve a ce rhum . Un gout de remede . Un rhum blanc assez spécial car les cannes à sucre sont plantées afin d'avoir les "pieds" dans l'eau et la tête au soleil! Ça donne un rhum assez particulier, iodé! Il est assez surprenant. Vanaf de eerste blik gruwelde ik al van deze fles (doet me denken aan een goedkoop russisch wodkamerk)... een iets grondigere inspectie maakte een heel klein beetje goed maar witte rum, blijft mijn argwaan toch voeden. De geur deed het ergste vermoeden. De smaak kan ik redelijk plastisch definieren: deze rum smaakt naar de geur van nieuwe schoenen... totale NO GO. 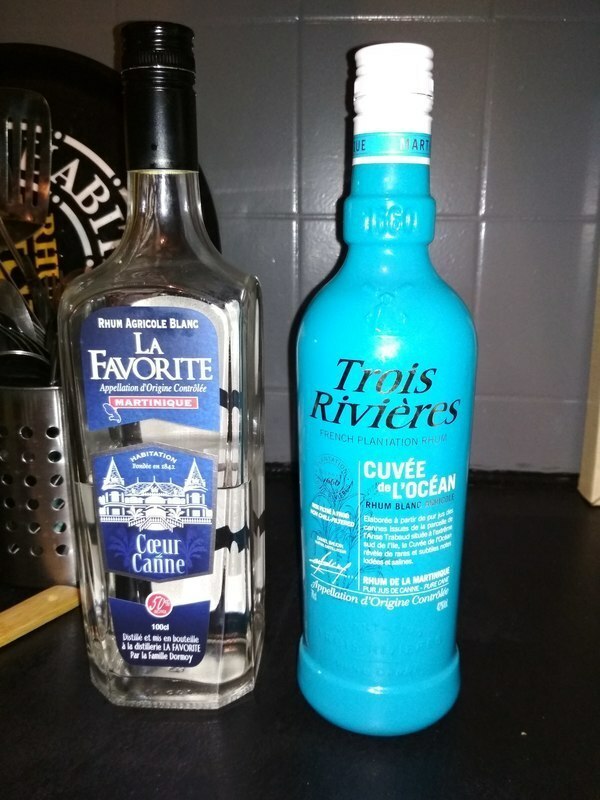 Je ne suis pas un grand fan du rhum 3 rivières mais j'avoue avoir été surpris par le gout de celui-ci; très fruité. La cuvée de l'océan est issue de cannes du sud de l'ile. Très tonique, avec un côté sauvage... Peut-être également une pointe iodée. Ce rhum est très typé et à déguster sec.